A very cold morning saw 36 Ely Runners take on the extremely challenging, hard frozen Deans Meadow & Cherry Hill Park XC course for this year's annual club XC championships. The club would like to thank all members who turned out to support the event in all capacities. A bright and cold morning saw some 50 Ely Runners take on the extremely challenging Deans Meadow & Cherry Hill Park XC course for this year's annual club XC championships. A good turnout saw 16 juniors and 30 seniors tackle the Deans Meadow & Cherry Hill Park XC course for this year's annual club XC championships. A hard fought race saw Fletcher Collins-Shirley edge out James Dack to take victory in the junior race (~1.8m), with Dana Fraser being the 1st girl to finish. In the senior race Gordon Irvine triumphed for the 2nd consecutive year, finishing just ahead of Robert Campbell. 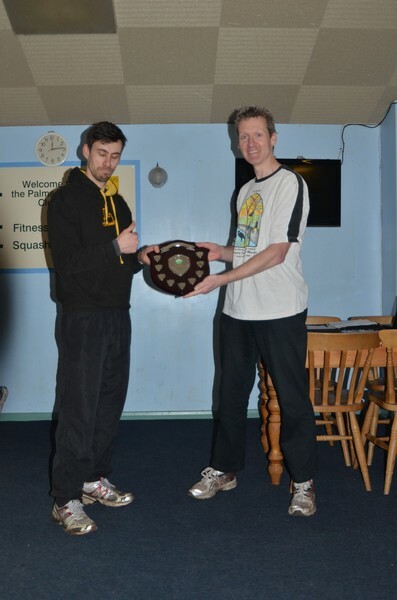 Rob collected the age-graded prize for his efforts. First lady and 1st age-graded lady was Zoe Shackleton. Conditions were good for running, being cold but clear and still - the course was as challenging as ever - but considerably less damp than last year!! The club would like to thank all marshals (Alison Crossman, Andrew Thompson, Laura Hill (plus photography), David Enoch, Nigel Reynolds (plus photography), Mathew Mason, Tanya Batchford, Nicky Ester, Gwen Graves) who helped on the day by standing out in the cold cheering on the runners. Thanks especially to John Turner for organisation, Nigel Reynolds, Ross Payne, Ben Cook, Mathew Mason, Roddie Shepherd and Barry Graves for helping John to mark out the course. Thanks to Emily Knight for timekeeping (& photography) and Steve Tovey for results. Many thanks in particular to Laura, Zoe and Nicky for the lovely post-race cakes.......yum yum. The club's annual mile handicap race took place on Ameherst field on Thursday July 17th. The junior handicap winners were Dana Fraser and Sid Enoch who beat their hanicap times by 76s and 72s respectively. The fastest junior boy on the night was Gareth Lewis (5.36) and the fastest junior girl was Dana Fraser (7.14). Gareth and Dana were also the 1st boy and girl in the age-graded rankings with 72.73% and 67.57% respectively. 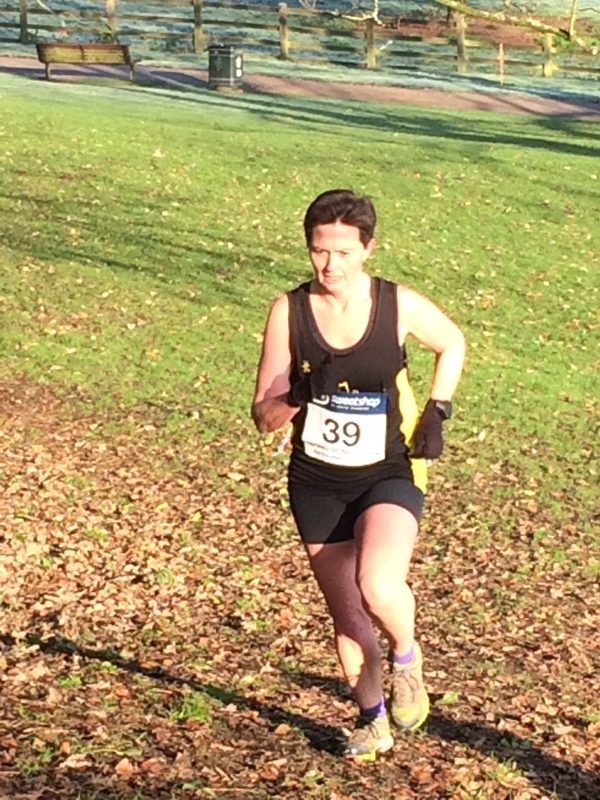 In the senior race the handicap was won by Kirstie Blencowe for the ladies and Pete Wood for the men. Kirstie finished in 7.34, 26s inside her predicted time, and Pete in 5.55 which was 15s inside his predicted time. The speed merchants on the night were Gordon Irvine (1st man) in 5.10 and Amy White (1st Lady) in 6.08. The age-graded honours went to Amy White for the ladies (67.86%) and Karl Bedingfield for the men whose 5.36 equated to an age-grading of 76.53%. Many thanks to Matt Holmes for organising and to all other members who helped out on the evening. A decent turnout for a welcome return of the challenging Deans Meadow - Cherry Hill Park course. The club would like to thank all marshals (Andrew Thompson, Miranda Reynolds, Laura Hill, Nigel Reynolds, Alan Rutterford, Steve Starr, Sarah Baumber) who helped on the day by standing out in the cold cheering on the runners. Thanks especially to Matt Holmes for organisation and to John Turner, Andy Thompson and Nigel Reynolds for helping Matt to mark out the course. The annual club 10k was held on Thursday 13th June in mild and breezy conditions. The usual discussions around overzealous time estimates and apart from a few last minute changes all runners went off at their allocated times. A good contingent of 59 Ely Runners and their guests took part this year with many runners putting in strong performances. Overall 39(!) runners managed to beat their handicap times, this has been noted organisers promise to be even tougher on handicaps next year!! The good weather conditions helped 21 members to achieve new Personal Best times with many knocking substantial time off their previous bests. 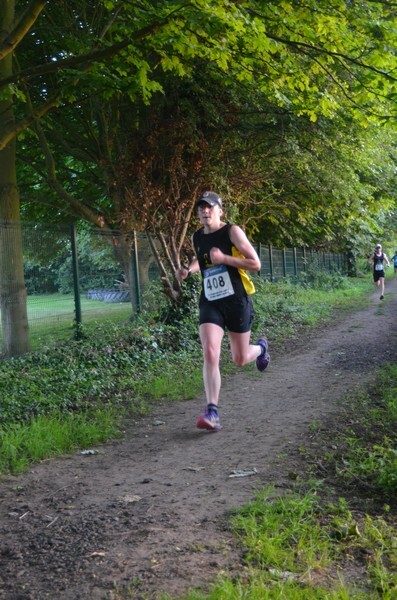 It was particularly pleasing to see so many runners who had come through the Beginners and Intermediates coaching programs taking part, in fact both the winner (Jane Robinson) and second place (Melanie Sage) in the Handicap Race had come through this process. Full results can be found below but special mentions must go to all those running in their first 10k including juniors Ellie Tattum and Robyn Seabright . Alan Rutterford also helped to set-up a 6k run for 2 junior members starting just before half way with Gareth Lewis and Nathan Pennington both running under their predicted times. With the absence of regular timekeeper, Emily Knight it was all hands to the pumps (stopwatches) as the runners arrived back in Little Downham with the main part of the field all coming in to the finish within a 2 minute window, special thanks to Steve Tovey and Jessica for helping with this. Thank you to Heidi Uff, Charlie Barker, Fletcher and Mark Collins-Shirley, Philip Sutton, Sara Tattum, Lionel Smith, Ewan Logan and James for helping to marshal and take photos. Thanks also to Dan Regan and Karl Bedingfield for running with the early starters and to Alan Rutterford for supporting the juniors that took part. 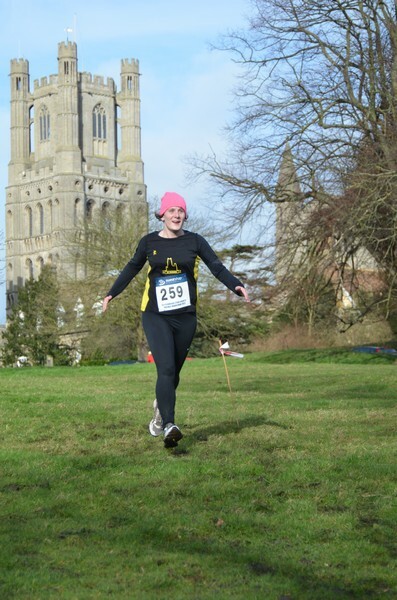 Ely Runners held their annual relay event, the Turing Trail Relay, on Sunday March 17th. The race included 6 Ely teams and 6 guest teams from the St Radegund RDC in Cambridge. Each team consisted of 3 runners and teams were made up of mixed ability runners with the aim of all finishing close together. The first leg runners started at 9am from outside the cathedral and followed a route down through Cherry Hill and Jubilee Gardens then out along the river and along the grass banks via the Fish and Duck and Cotes Bridge and on to Waterbeach. 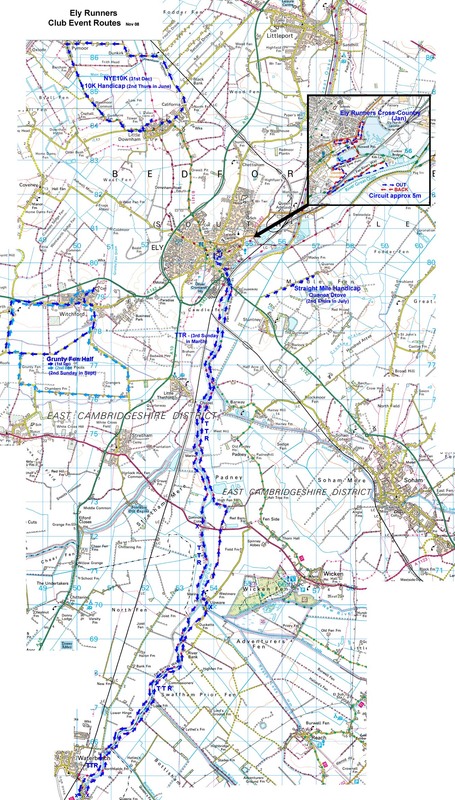 The second leg is an out and back 8 mile route into Cambridge and the final leg is a 12 mile muddy slog along the eastern bank of the river back to Ely. The Turing Relay is held in memory of Alan Turing, mathematician, computer scientist and WWII code breaker. Turing was also an accomplished long-distance runner and he regularly used this route during his time at Cambridge. Due to illness and injury some last minute team changes had to be made to the ER teams first thing on Sunday. As a result Matt Holmes and Kieren Drane became a 2 man team with both deciding to run 2 stages, for reasons of fairness it was decided to use Matt's slower stage 2 time in the overall team times meaning that the trophy went to first 3 member team to finish. In the end the race was tied as two teams finished together in a time of 4 hours 12 minutes. Ely 6 made up of Heidi Constable, Steve Starr and Martin Ineson and Hash 1 (St Radegund) made up of dubiously named individuals were the winners on the day. Conditions were cold and breezy although the rain stayed away until later on, the route was very muddy in places after the rain of the previous days making going particularly tough. The trophy will now be shared for the next 12 months before another attempt is made on this popular if unusual event. Thank you to Lionel Smith and Peter Harris for covering the stage timing when Matt made the bizarre choice to run 2 stages and to Matt Holmes for organising the event. Thank you also to Peter and to Steve Starr for driving to and from Waterbeach and to all runners for taking part. p.s The next club event is the 10k Handicap in Thursday 13th June at 7.30pm. A cool but dry morning greeted the twenty three seniors and three guests who took part in the seventh rendition of the club's XC championships - the fifth to be held on Ely Common. Whilst the weather was OK, the course was probably in its worst ever condition - with recent heavy rain and melt water leading to ankle deep mud in many places - with particularly 'moist' underfoot conditions on the section approaching and running alongside the lake. The four lap course proved challenging for everyone - with Charlie Barker wisely deciding enough was enough after 2 laps. On a day when times were particularly irrelevant the seniors were lead home by Martin Ineson, holding off a strong final lap challenge from guest runner (lapsed member) Ian Day - although Ian's run enabled him to finsih second overall. Storming run of the day undoubtedly belonged to Conan Fryer - finishing in an impressive third place overall within a minute of the leading duo, claiming first position in the age-graded standings. Teal Riley was the first guest home in fourth place overall. Steve Tovey edged past Matt Holmes on the final lap to finish in fifth; and likewise Karl Bedingfield edged past Robin Webb, last year's winner, on the final lap to take seventh. Steve Presland and Jonathan Stone completed the top 10. First lady, and first age-graded lady, home after a strong run was Sarah Edwards, with Harriette Stone and Celine Aubry completing the top three ladies to finish. The finishing area proved to be the place to compare war wounds and mud incidents (i.e. falling over)......with many people falling victim to the courses muddy slopes and some particularly aggressive brambles...... Post-race cakes were available at the Paradise  along with the presentation of the clubs XC trophies. Sadly this year's event took place later than normal and so ended up clashing with half-term. This meant that a rather select band of juniors took on a one-lap course ahead of the senior race. First home in the junior race was Michael Ford, holding off a strong challenge from Gareth Lewis - although as for Ian in the senior race Gareth could take some solace by being the first age-graded finisher. Third place went to Kieran Spitzer, with Flectcher Collins-Shirley and Fraser Crossman completing the top five. Niamh Webb was first home for the girls (and 1st age-graded) in sixth place overall with Faye Palmer following Niamh home in seventh place. Well done to all of the juniors who completed such a challenging course!! The club would like to thank all marshals (Peter Harris, Alan Rutterford, Heidi Constable, Nigel Reynolds, Heidi Uff, Miranda Paul, Jane Robinson, Anita Lewis, Alison & Brent Crossman and Phil Sutton) who helped on the day by standing out in the cold cheering on the runners. Thanks especially to Matt Holmes for organisation and to Peter Harris, John Turner and Alan Rutterford for helping Matt to mark out the course. Many thanks also to Emily Knight, just back off holiday, for helping with registration and event timing. The 2012 mile handicap made a return to the grass track on Ameherst Field, with runners greeted by a warm and overcast evening with a rather strong southerly wind. First home in the junior race were Alexander Ellwood (6:01) and Robyn Seabright (6:14). The junior Handicap race was won by Isaac Stares and Charlotte Mould - Isaac finished in 7:03, 50s inside his predicted time; and Charlotte finished in 10:10, 35s inside her predicted time. Many thanks to Matt Holmes for organisation and to Steve Tovey & Alan Rutterford for their help with course marking. The junior 5k due to be held on the same day as the 10k was rescheduled to a Tuesday (a regular Junior training night). It was a good idea as entries went from 2 to 14 on the night, a good turnout considering a lot of juniors are away on school trips and have been in the middle of exams. Senior members also benefitted from a run out and were grateful of the chance to race over this shorter distance. The conditions were muggy, but the rain held off until after the race, although the ground conditions were heavy underfoot as the field had been cut recently and with all the recent rain runners ran around with clumps of wet heavy grass attached to their shoes, apart from one runner, Darren Murfitt, who seemed to have forgotten his trainers and finished with very green feet! The race covered 3 laps of the two adjoining fields and first home was Connor Cussell (a regular guest at Tuesday Training sessions) followed very closely by Graham Chapman 2 secs later. The Juniors all did well and first home was Robyn Seabright in 21:54 with the first boy being Angus Hutchison in 22:42. Some of our new and younger members really surprised the coaches; amongst them was Micaela Steyn, aged only 9, who has only been training a few weeks completing the race in 32:08, fantastic. Adrian Chalmers who has been unable to train with us for the past couple of months due to other commitments completed the 5k in a great time of 24:18. A huge well done to all the Juniors and Seniors who took part and to all the supporters and helpers on the evening. A special thank you also to Lesley and Alan for helping organise a very successful event. The club 10k Handicap took part with a record number of entrants this year. 31 out of 64 runners beat their handicap time and a total of 10 Ely Runners achieved new Personal Best times  well done to Robin Webb, Jose Perez, Lionel Smith, Steve Starr, Sharon Leonard, Heidi Constable, Fran Crawford, Philip Sutton, Jacqui Buxton and Laura Knight. There were new club records too with John Turner and Fran Crawford achieving new MV65 and FV60 club records respectively. Prizes were awarded on the day as follows: Fastest Male:	Alex Tate	33:44 Fastest Female:	Miranda Paul	46:14 Handicap Winners 1st Fran Crawford (Shield Winner) 2nd Sarah Edwards 3rd Darren Murfitt. Thank you and well done to all that attended; special thanks to Steve Tovey and Alan Rutterford for assisting with course set-up, Charlie Barker for photography and the finish area, Emily Knight and Julie Foreman for organising timing and results, John Glover and his army of marshals! Over 40 Ely Runners turned out in chilly, foggy conditions to take part in the clubs annual Cross Country Championship held on Ely Common. After a week of rain runners were welcomed with a particularly muddy, sticky and slippery course, the foggy conditions helped to make this the most gruelling race yet. 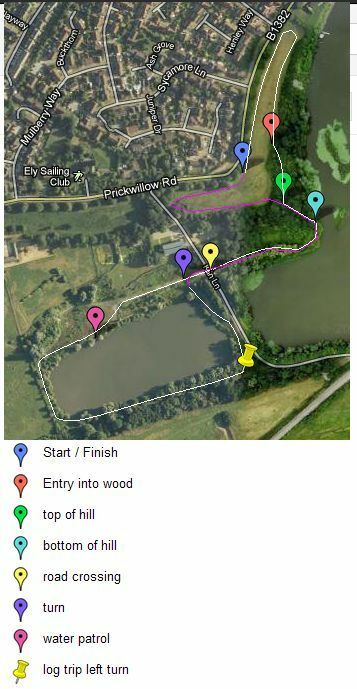 The senior race consisted of 4 laps of Ely Common including woodland trails, lakeside rambles and muddy, hilly stumbles. 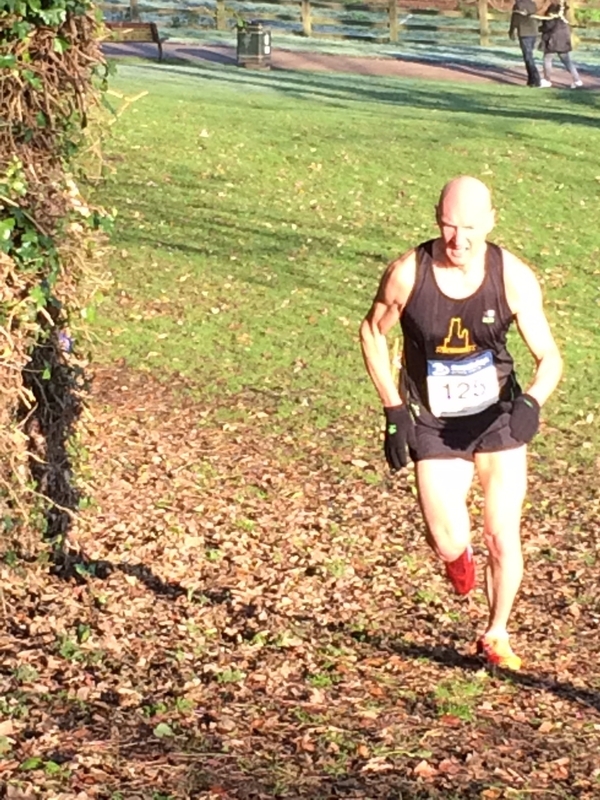 Four runners started off well with Graham Chapman, Steve Tovey and Robin Webb trading the lead over the first 2 laps. After this Robin pushed on and eventually finished 30 seconds ahead of Steve with Graham the same distance further back; new member Conan Fryer ran well to finish a further minute down in 4th. In the ladies race Zoe Shackleton won her own personal battle with Felicity Chivers to win coming home in 5th place overall. There were further battles down the field with Peter Harris pushing on to beat Lionel Smith into 8th. Linden Smith ran well to finish as 3rd Lady and John Glover finished strongly after a steady start. Despite the conditions there were smiles all round with runners seemingly having a great time. Their moods were perhaps helped by the enthusiastic support from marshals positioned at various outposts throughout the course; runners were particularly enthused by the sight of Heidi Uff emerging out of the fog by the lake. The clubs junior section also put on a race for 9-14 year olds. 12 runners entered and finished the race this year with 3 runners battling for the win. They stuck together through the woody, muddy sections before they emerged onto the meadow where Lewis Leonard pushed on sprinting to the line to win by 9 seconds ahead of Michael Ford with Fraser Crossman in 3rd. Lewiss win was all the more impressive considering his size and age compared to the competition. Esme Wright was first girl home and James Holland, Gareth Lewis, Adrian Chalmers, Jamie Rendell-Read and Nathan Pennington all put in good times. Debutant Adam Clark ran well to overcome a bout of stomach cramps and Abbie Ashman and Eleanor Brumby ran together all the way to complete the course. The club would like to thank all marshals (club members, friends and families) who helped on the day by standing out in the cold cheering on the runners. Thank you to John Turner, Lionel Smith and Alan Rutterford for marking out the course, Emily Knight for helping with registration and event timing and to all those that helped make the event such a success. 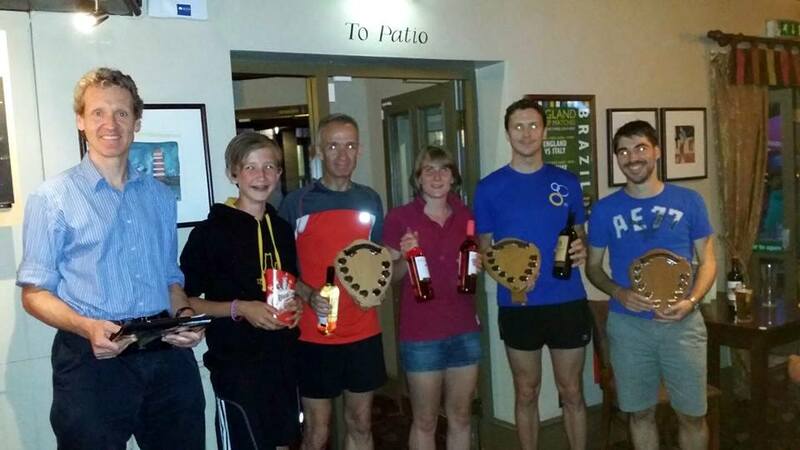 Ely Runners held their annual club mile handicap race this week. The race took place in perfect conditions over a marked out circuit of Brand's Field. The race, a 1 mile grass track course run against estimated handicap times, was well represented by a large cross-section of the club with ages ranging from 9 to 65 years. 3 prizes were awarded to seniors this year: Fastest Male & Female - Kieren Drane (5:25) & Celine Aubry (7:17); Handicap Winners - Nick Dowdy & Karen Foster; Age Graded Winners - Graham Chapman & Karen Foster. There were personal best times for many senior members with new club records achieved by Graham Chapman (MV55) in 5:32, Karen Foster (FV40) 7:28, Claire van Leersum (FV55) 8:16 and John Turner (MV65) 6:56. The club's junior section has gone from strength to strength in the last year, thanks to lead coaches Alan Rutterford, Lesley Wright and Max d'Ayala, with Tuesday night training sessions regularly attracting 20-30 runners. The mile is a great race leveller with juniors able to compete with seniors on an equal level. There were several outstanding times achieved by juniors with notable mentions going to Lewis Leonard (age 9) finishing in 6:12 and Amber Staff (age 10) in 7:01. There were also new junior records set by Jonah Balmford (Boy record) 5:33 and Robyn Seabright (Girl record) 6:15. 2 prizes went to the junior section: Boy Handicap Winner - Jamie Rendell Rendell-Read and Girl Handicap Winner - Megan Gwynn Well done to all junior members, with 15 runners against 22 seniors they and their supporters made an important contribution to the event. 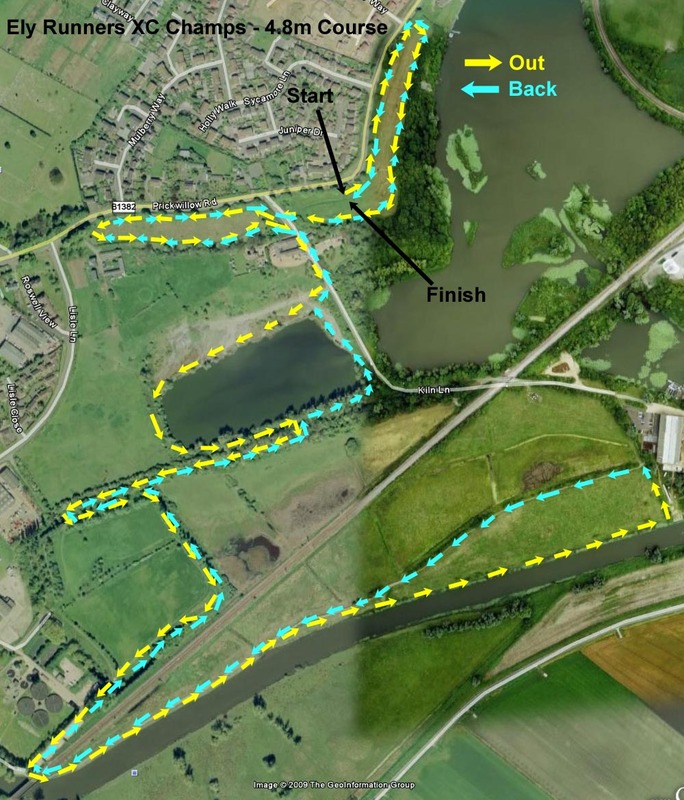 There were several positive reports from runners regarding the course and organisation, the new Brand's Field track was seen to be a considerable improvement on the uneven surface on Amherst field. Special thanks go to all members who helped with the organisation of the race, Julie Foreman, Emily Knight, Kevin Fox, Steve Tovey, Andy Nixon, Tony Hall and Alan Rutterford and also thanks to the King's School for use of the field. Dark clouds greeted runners on arrival at Little Downham for the annual Ely Runners 10k Handicap on Thursday 9th June. Starting at 7:30pm the field of 48 runners made up of Ely Runners, invited guests and members of Ely Tri Club began to head off wary of the impending rain that was sure to greet them at some point on the course. Runners were sent off at regular intervals by timekeepers Emily Knight and Hannah Shiell until the final runner John Uff was sent on his way to chase the pack down at 7:54. The course is the familiar anti-clockwise route out of Little Downham used for the New Years Eve 10k, this consists of a circuit taking in country roads via Pymoor before returning to the village and finishing near the cricket pavilion. The weather was blustery and sure enough at the turn in Pymoor runners were met with a headwind and an increasing amount of drizzle, the only highlight being a double rainbow shining bright over the runners ahead. The race is unique in that runners compete both on a handicap basis (result achieved against their projected time) and on the traditional timed finish. The first finisher was guest runner David Wright in an impressive 7:44 below his handicap time. First home for Ely Runners was Michael Butler followed closely by Gareth Kavanagh-Dixon and Hannah Buckingham of the Ely Tri Club. They were followed soon after by the chasing pack of runners all rushing for the line. Last home was Adam Etches, his time was somewhat handicapped however by him still holding his baby daughter as the whistle went for him to head off. The wet weather didn't put people off and with the spirit of camaraderie came improved times; as usual for this event there were several new PBs set, congratulations to Robin Webb, Jose Perez, Matt Holmes, Ashley Blackmore, Sarah Edwards, Nick Dowdy, Heidi Constable, Tanya Shenton, Samantha Collins-Shirley, Karen Foster, John Foster, Shaun Brown and Graham Riminton for all setting new personal best times for the club. 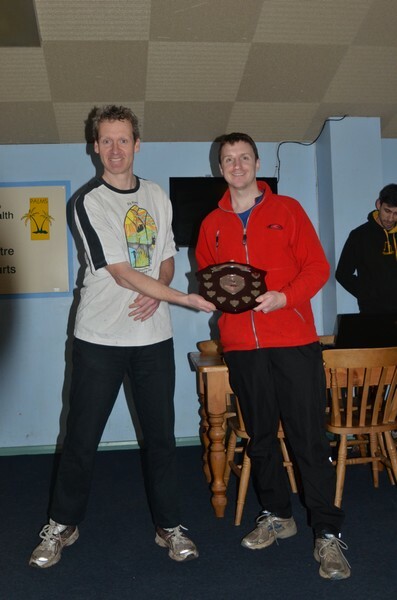 Once changed and recovered the runners partook in sandwiches, chips and lots of homemade cake whilst club Chairman Stephen Howard presented Michael with his winning 10k Handicap Shield. 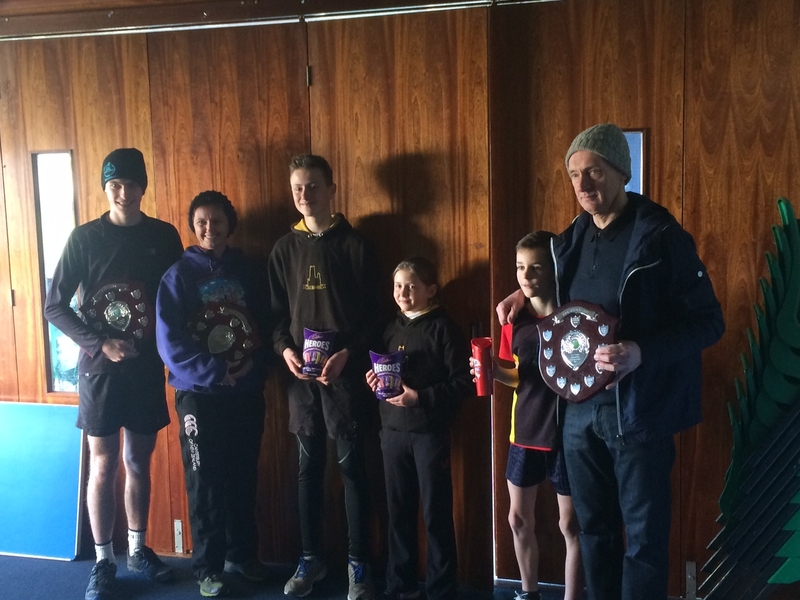 Second and third placed Ely runners (Graham Kavanagh-Dixon and Samantha Collins Shirley) also received their prizes as did the first guest home (David Wright) and the fastest man (John Uff 37:49) and fastest lady (Sarah Edwards 46:35). Fastest runners for Ely Tri Club were Sam Hatch 43:09 and Louise Barker 49:54. These events cant go ahead without the assistance of club members and other volunteers, special thanks therefore go to all officials for their time and effort: Matt Holmes for much of the organisation and handicap times ably assisted by Steve Tovey, Emily Knight and Hannah Shiell for timekeeping, Julie Foreman for results, John Glover for arranging marshals, food and drinks and all those marshals (including Claire Van Leersum, Heidi Uff, Brian Partridge and many others). Next up for the running club is their annual mile handicap race, if only Ely had a running track for such events! 1st: Ely Runner's Team "Smith"
Many thanks to Steven Hardwick and Mark Turner for donating drinks and gels to the slowest runner of the day! Stage one runners 11.7-miles, 1st Steve Tovey in 1:27:04, 2nd Mark Turner in 1:40:05, joint 3rd Linden Smith and Stephen Howard in 1:40:05 Stage two runners 8.0-miles, 1st Adam Etches in 1:00:21, 2nd Lionel Smith in 1:01:47, 3rd Ashley Blackmore in 1:03:41 and 4th Matt Holmes in 1:05:53 Stage three runners 12.1-miles, 1st Kieren Drane in 1:19:49, 2nd Peter Harris in 1:37:32, 3rd Steven Hardwick in 1:42:39 and 4th Stuart Baumber in 2:02:49. Thanks to Matt Holmes for organizing the event and teams, and to Emily Knight and Martin Courtney timekeeping. Many thanks to all of the seniors, juniors, parents and helpers who turned out to make this years XC race so much fun, as well as Steve Tovey for organising the whole thing. The slippery and hilly course was devised by JT for his Exmoor Stagger training but also proved a real challenge! The weather was ideal for a Cross Country Race. It was cool but bright and dry although the ground was rather wet from rain earlier in the week. 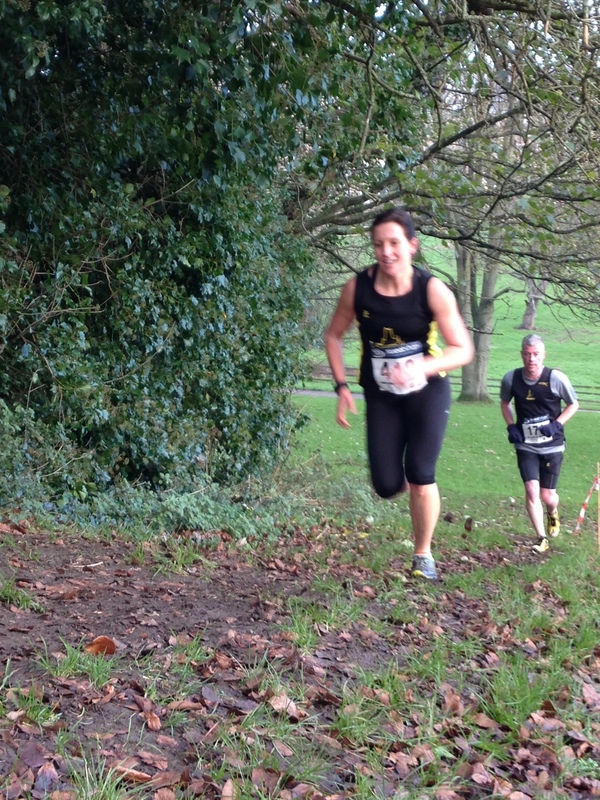 The race started with a half lap of the water meadow and then runners disappeared through a gap in the undergrowth down a steep and muddy bank. After much mud, a lap of the lake and a grassy diversion near Springhead lane the runners re-emerged through the same gap quite a bit wheezier and muddier than they had left it. Juniors then completed the lap of the water meadow and finished whereas the poor seniors had to complete two more laps before they were done. There was great support and cheering for all finishers from the assembled helpers and supporters. Congratulations to: Charlie Staaf (1st junior) & trophy winners Robyn Seabright (1st age-graded female junior) & James Holland (1st age-graded male junior); Rob Campbell (1st man & 1st age-graded man), Heidi Uff (1st Lady & 1st age-graded lady). Thanks to the many officials, helpers and supporters on the day as well as members who stayed behind to help clear the course afterwards. After the race was run everyone reconvened at the Paradise Centre where club Chairman Stephen Howard and Junior Coach Alan Rutterford presented the trophies to the race category winners to warm applause. Special mention and thanks go to the lady members who made the delicious cakes for all at the Paradise Centre afterwards. This year the Ely Mile Handicap was held on the Amherst Field grass track rather than the Quanea Drove. Also there was a good level of participation from all parts of the club with juniors, seniors, and veterans well represented in both male and female categories. With 36 runners and a good number of parents and supporters present there was a lively atmosphere for the races themselves. The warm and slightly humid conditions were perfect for the spectators and not too unpleasant for the runners. Due to the number of starters the races were split into three with similar-paced runners going off together to keep the races exciting and competitive. Spectators and runners alike offered loud support and encouragement to the racers on each of their four laps as they passed the finish line. After the events completed all and sundry adjourned to the Albert for drinks, sandwiches and chips whilst the organisers worked out the winners in each of the race categories. The final act was Club chairman Stephen Howard presenting the trophies to each of the category winners. Winners of the new junior handicap trophies were Alex Ellwood (6:29, 14s under estimated time) and Hattie Fletcher (7:33, same as estimated time). Special mention was also given to guest runner Adrian Chalmers (7:33, 56s under estimated time). The fastest juniors on the night were Alex Seabright (5:44) and Robyn Seabright (6:14). 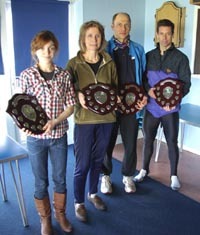 The senior handicap trophy was shared by Andrew Balmford (6:07, 3s under) and Natalle Etches (7:47 12s under). The trophy for fastest overall was shared by Craig Holgate (4:46) for the men and Heidi Uff (6:09) for the ladies. Heidi Uff (6:09, AG%67.38) also shared the age graded trophy with Graham Chapman (5:35, AG%78.71). There were New Club Records for Alex Seabright (MJ 5:44); Jonah Balmford (Boy 6:10); Robyn Seabright (Girl 6:14) and Peter Harris (MV60 6:02) - Peter eclipsed the old record (held by John Turner) by 9s. There were also personal bests for Jonah Balmford, David Mould, Andrew Balmford, Heidi Uff and Molly Butler; with personal bests (first miles) for John Uff, Alex Seabright, Tony Kirby-Cook, Lionel Smith, Robyn Seabright, Stuart Baumber, Neil Atherton, Esme Wright, Fraser Crossman, Nathan Pennington, Hattie Fletcher and Cindy Mills. Thanks once again to all the helpers: Steve Tovey for much of the organisation including course setup and, (together with Alan Rutterford), assigning handicap times to members. Also to Emily Knight and Julie Foreman for race timing, results and laying on refreshments. Thanks too to all Ely Runners and parents for offering support and encouragements to all runners. A cool humid evening with a stiff breeze provided the backdrop for this year’s Ely 10k Handicap. Starting at 7:30pm the assembled field of 36 runners made up of Ely Runners and invited guests began setting off. Timekeeper Emily Knight sent the first runner Emily Taylor on her way (estimated 10k time 60 mins) and for the next 25 minutes she summoned then dismissed the runners in turn up to final runner Stephen Pettit (estimated time 35 mins). The course followed the usual clockwise route out of Little Downham along country roads before returning to the village and finishing on the grass behind the cricket pavilion. 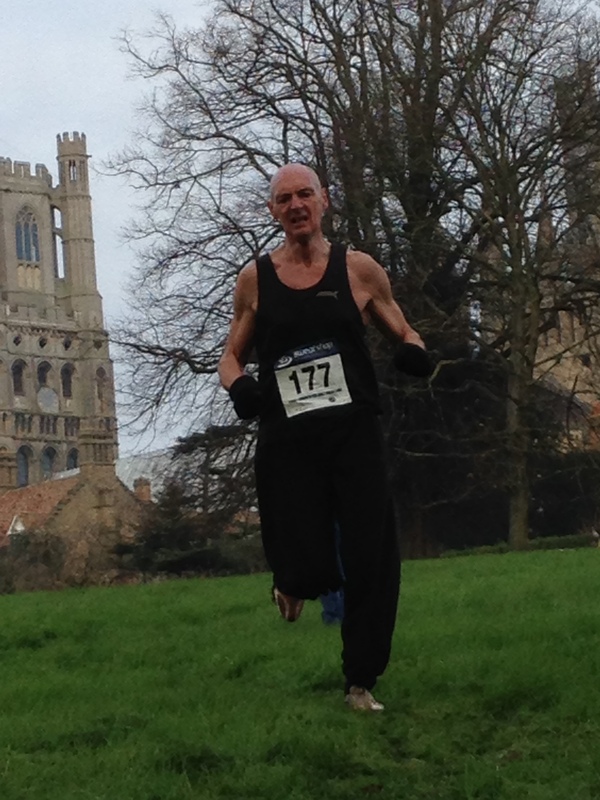 First home was Ely Runner Stuart Baumber almost 3 minutes ahead of his handicap and previous Personal Best time. Just 23 secs behind was Lisa Redman who claimed the award for the most relaxed start of the night, sauntering up to the start line with a couple of seconds to spare. 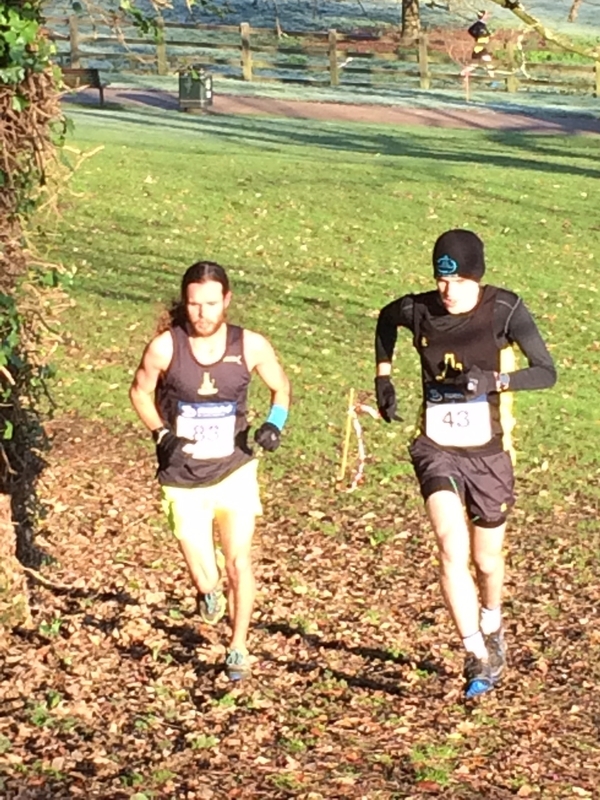 Third overall and first guest runner was Robert Beeney just over 10 seconds further back. After that the runners came in thick and fast, with the remaining field all back a mere five minutes later. As usual for this event there were a number of new PBs set and unusually tales of wild horses at the 8km mark. Once changed and rested the runners departed to the Albert in Ely for sandwiches and chips where club Chairman Stephen Howard presented Stuart with his winning 10k Handicap Shield to warm applause. 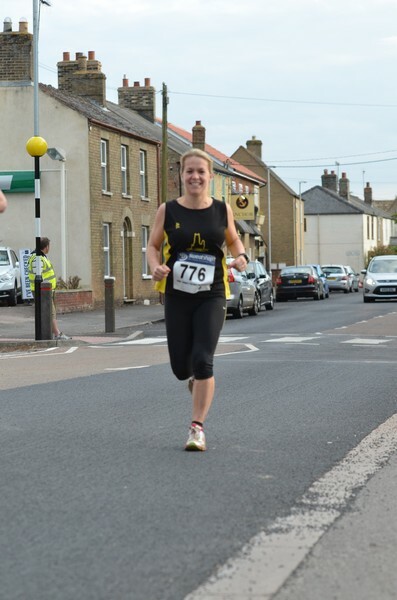 There were prizes also for the second and third placed Ely runners (Lisa Redman and Mary Gates), the first guest home (Robert Beeney) and the fastest man (Stephen Pettit 35:51) and fastest lady (Heidi Uff 44:01). Finally warm thanks to all officials their time and effort: Steve Tovey for much of the organisation and handicap times, Emily Knight for timekeeping, Julie Foreman for results and food, John Glover for arranging marshals (including Alan Rutterford, Robert Campbell and a few other nameless heroes). Congratulations to John Uff, Kieren Drane, Chris Bower, David Mould, Heidi Uff, Andy Nixon, Neil Atherton, Hannah Shiell, Stuart Baumber and Lisa Redman for achieving personal best times on the night. Unlike previous years the 2010 Turing Trail Relay was run as a private club event featuring 4 evenly matched teams of 4 selected by Steve Tovey. As well as being a ‘self navigation’ event the leg distances differed from the open event of years past, with legs 1 and 2 merged and legs 3 and 4 also merged. Conditions on the day were good – a light wind but dry bright and sunny. There had been heavy rain the day before so the ground was soft but not overly so. Timekeeper Emily Knight bravely appeared at the start suffering from a terrible cold. She started the race as the Cathedral Bell chimed 9am but was clearly unable to run her leg later on and returned to her sickbed shortly afterwards. 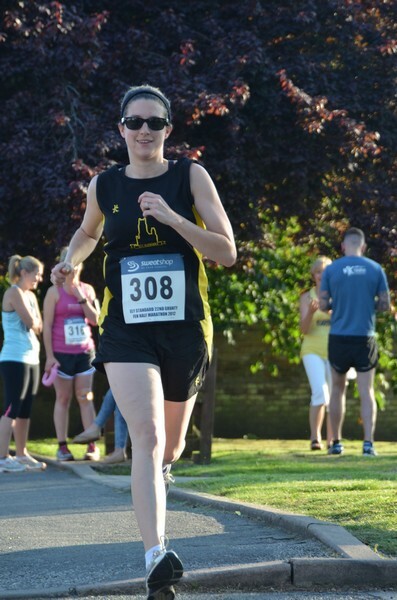 [Well done Emily for your efforts above and beyond the call of duty – it was much appreciated by all runners]. Adrian Stokes picked up her timing duties at the end of the race. The teams started outside the cathedral with Steve Tovey and Stephen Howard joined by Graham Chapman fresh from a 15 mile race the previous day and Adam Etches with his dog Jackson wearing a coat with a handle on the top (for easy lifting). The two Steves pulled away at the start and ran stride for stride together the whole way. Meanwhile Graham Chapman found either his 100-mile training weeks or the prior day’s 15 mile race was still in his legs and struggled to keep his pace up. Adam and Jackson proceeded chaotically along, at one point stopping for 10 mins to avoid “the scary cows!” . At the Waterbeach changeover the Steves managed to dead heat at the stage finish handing over to Neil Atherton and Stuart Baumber and some six minutes later Graham appeared running along the road rather than the track but John Turner swiftly adjusted and began his run. As Emily was unable to run John had volunteered to run stage 3 as well, with Andy Nixon changing teams accordingly. Meanwhile Martin Courtney continued his regular warm-ups, hoping and expecting Adam and Jackson to appear at any time. When they finally did Martin bounded off in pursuit of the other teams, with quite a deficit to make up. Meanwhile Graham had decided he needed to run some more miles so he and Stephen Howard ran back to Ely as a training run. The run in and out of Cambridge was mostly uneventful and the teams made their way back to Waterbeach with Neil now in the lead and Martin having had a storming run not too far behind. John Turner ran well but was pacing himself for another leg. Reports that Stuart had stopped for an ice cream were later denied. 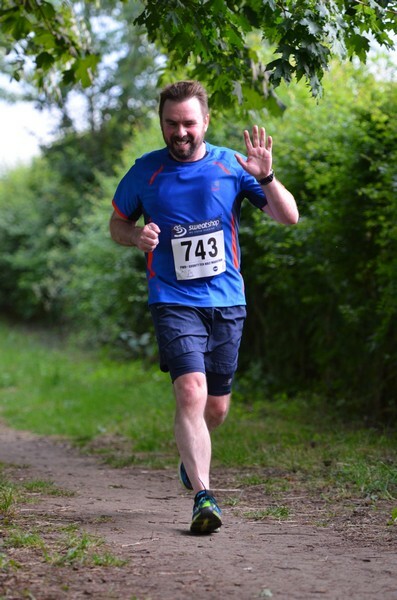 Stage 3 began with Nick Dowdy in the lead, followed by Andy Nixon, Chris Bower and John Turner (who had carried on running through the Waterbeach changeover). By the end of stage 3 the idea of waiting for your teammate to appear before starting mostly went out of the window. Ian Day, running at short notice despite other commitments (and fresh from the same 15m race as Graham) had started 10 mins before John Turner finished, when Nick Dowdy handed over to Peter Harris. Meanwhile Andy Nixon had taken a wrong turn, but was seen by Chris Bower who went looking for him. Andy eventually turned up having run 8 miles instead of 4.5. At Ely Cathedral Ian Day came in first but only a few minutes ahead of Peter Harris and thus Team D were the overall winners. Further down Kevin Fox finished ahead of Steve Collett and with the news that Andy Nixon had been found, chairman Stephen Howard presented the Turing Relay Trophy to the winning Team D and the tired assembled runners dispersed. Thanks to Steve Tovey for organizing the event and teams. Also to Emily Knight and Adrian Stokes for timekeeping. Well done for all the team runners for their enthusiasm, flexibility and resilience. On Sunday 3rd January Ely Runners held their annual in-house Cross Country Championships on Ely Common, just off Prickwillow Road. With temperatures recorded at -1.5C, the course was hard under foot, with patches of slippery ice in places. If that was not enough the thin air made breathing tough, and there were nasty brambles lurking in the bushes for any runners who strayed too far off the beaten track. Despite the challenges, the runners focused well on the undulating course and put on an exciting race spectacle for the hardy spectators and supporters. The Senior and Junior races started at the same time; with 30 runners in all consisting of 26 seniors and 4 juniors. The juniors completed the 1.89 mile (3Km) course. Alexander Ellwood came home ahead of Nathan Pennington, Fraser Crossman and Molly Butler. Club Coach Alan Rutterford was pleased with their performance in the extreme icy and cold conditions. In the senior race, 23 Ely Runners and 3 guests completed the longer 4.6 mile course. There were close finishes for both the male and female prizes. Eventual mens race winner was Ian Day with John Manlow a couple of seconds behind. The ladies had their own battle with Felicity Chivers eventually coming out on top in 33.30 (9th overall), no more than a second ahead of Zoe Shackelton. Afterwards at the Paradise acting Club Chairman Stephen Howard presented the large shield trophies to the first 1st Man Ian Day and 1st Lady Felicity Chivers. The second place man and lady were also rewarded for their fine efforts on the day as Zoe Shackleton and John Manlow each picked up their respective age graded awards. Many thanks go out to Stephen Tovey who organised the race plus his band of willing helpers - Emily Knight (time-keeping); Julie Foreman (results); John Turner & Tony Hall (course marking); Mary Gates, Tony Hall, Rob Comley, Marion Comley, Alan Rutterford & Mr. Collins Shirley (Marshaling). 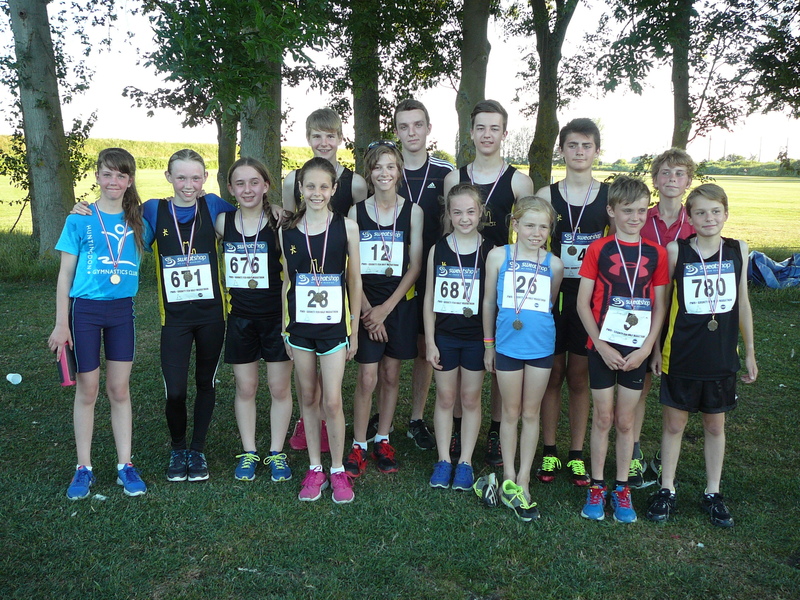 On Thursday night 29 Ely Runners were joined by 3 juniors from ECAC for the 6th annual Ely Runners straight mile handicap race on Quanea Drove. Despite the annual deterioration of the running surface times seem to get faster every year - leaving us to speculate that members must be spending more time in the air than on the surface!! Conditions were cool with partial cloud cover and a favourable 12mph WNW tail wind. Given the narrowness of the road, runners were separated into three waves of about 10 runners each. However with the course barely supporting 3 runners abreast there were times when it was simply too congested for everyone to get a clear path, although good manners prevailed at all times. The evening saw 2 club records, 10 personal bests and 8 members recording first mile times as Ely Runners. Fastest on the night was Craig Holgate in 4.34 smashing Alex Tate's senior men's club record by an impressive 19s. A time of 6.15 meant Natalle Etches was the fastest lady for the fourth time in five years and she also claimed the ladies age-graded prize (67.21%). Another superb run saw the ageless Graham Chapman claim the men's age-graded award in 5.16 (82.74%) just 3s outside his own MV50 club record. An equally superb run saw Peter Harris beat his own MV55 club record by 5s. Honours in the handicap race went to Dean Sheppard and Hannah Shiell who beat their predicted times by 32 and 16s respectively. A further mention to Hannah and also Chris Bower for running the biggest PB's of the night by 15 and 17s respectively. Congratulations also to Claire Irons, John Glover, Peter Harris, Kevin Fox, Steve Collett, Daniel Regan, Stephen Howard and Steve Tovey for recording new personal best times. Many thanks to Rod Baron, Emily Knight, Julie Foreman, Hayley Tooke, Nick Dowdy, Darren Murfitt and Alan Rutterford for support and their help with timing, recording, results and organisation. Many thanks also to Charlie Barker for photography and support. In addition to his sterling efforts to encourage and cajole members to take part, Steve Tovey negotiated handicap times with the assembled field and once again led by example predicting his own result accurately to within a second. showers had cleared to leave a lovely summers evening. her handicap time. Second Ely Runner home was Paul Collings and third place went to Ashley Pettit - both competing in their first ever 10k race. last year - I'm sure he'll be back for another go in 2010. 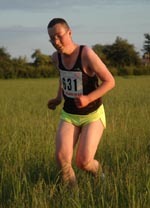 Full results in both Handicap and Actual time finishing order are available on the club website: www.elyrunners.co.uk. Kevin Fox, Ian Day and Sophie Gates (photography); John Crisp, Sue Lyon, Heidi Constable, Rachel Toms, Mel Fisher, Max d'Ayala, Darren Murfitt and Alan Rutterford (marshals); Emily and Steve Gates (support crew). Finally a big thank you to Steve Tovey for his hard work both beforehand and on the day. Being responsible for the thankless task of assigning race handicaps he set a fine example to others going forward - despite running a 25 second PB he managed to predict his own handicap time to within 1 second, the closest match of the evening. For the first time Ely Runners enjoyed their 3rd annual club cross-country championships as a private stand-alone event on their new 4.8 miles starting and finishing at Ely Common. 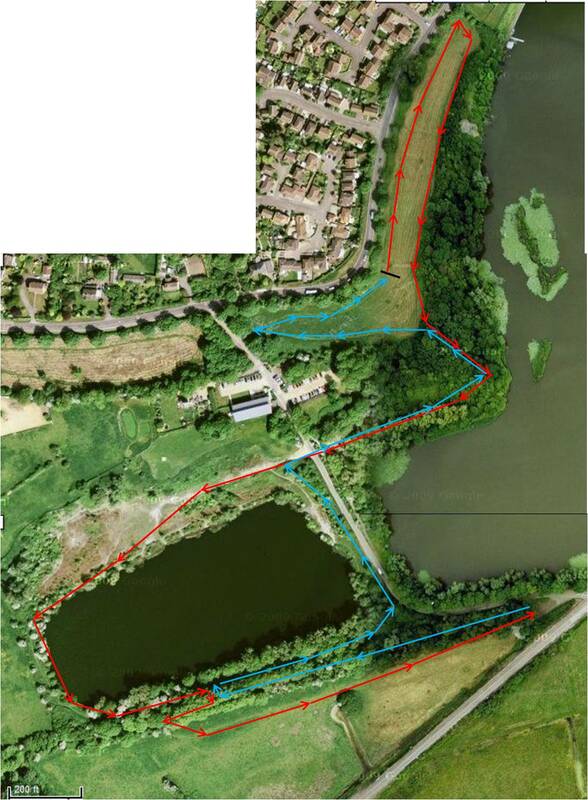 The race started with a lap of the Common, then around Roswell west lake onto Springhead Lane, around Pocket Park and under the railway for a long loop around the Cresswells water meadows before returning around the other side of the lake and a final opposite direction lap of the Common. Conditions were cold and muddy underfoot following recent rain, thereby providing ideal conditions for a testing cross-country race. The prizes were presented after the race by Chairman Peter Gipp at the Paradise Centre. Thanks to Steve Tovey for organising the race, Rod Baron for timekeeping and photography, and to marshals Tony Hall, Mary Gates, Alan Rutterford, Rachel Roberts, and Hannah Shiell. Fine dry conditions and a handy tail-wind ensured over two-thirds of the competing Ely Runners set new personal bests on Thursday. By the finish three new club category records had been set and new names etched on the trophies. Leading the club home was John Manlow, his first victory in a club event and narrowly ahead of Stephen Pettit. At least Stephen had the consolation of a new club MV40 record. Third placed Graham Chapman improved his own club MV50 record by 10s. First Lady was Rachel Roberts also in a new club FV35 record time. The overall handicap winners were Hannah Sheil and Steve Collett, both impressively besting their predicted times by over 30s. Although the race eventually went ahead smoothly, things did not begin well. The start was delayed by anxious locals, fearing they were about to witness an illegal hare coursing event. They threatened to call the police. Fortunately the 26 Ely Runners dressed in club colours eventually convinced them otherwise and the evening races began. There were too many competitors for a single start and so the races was divided into 3 waves. In addition to the competitors there was ample support from officialdom. Race starter was Simon Bottomley and Rod Baron, Emily Knight, Peter Gipp, Eric Drury and Julie Foreman recorded times, places and videos at the finish. On-course-photography was by Ian Day and Charlie Barker. best age-graded (Graham Chapman/Rachel Roberts). Finally many thanks also to Steve Tovey for co-ordinating entries and arranging handicap times for all competitors. What better way to pass a summers evening than to race against club-mates and friends on a fast 10k course in near perfect conditions? Add in the unique feature of a time handicap staggered start (so all runners should finish at the same time) and you have an extremely competitive event. To sharpen competition even further the number of club members present (42) was the highest ever for the Ely 10k Handicap. Put together all these factors and it is perhaps clear how fully 70% of entrants managed to beat their handicap times. The handicaps were not soft either  as witnessed by the number of personal bests set and club 10k records that were broken. In fact at the peak point the results recorders were almost overwhelmed by the continual stream of runners sprinting for the finish. Dedicated and efficient as ever they managed to cope, but it was tough! The total field was 53, made up of the 42 club members plus 11 invited guests. By tradition there are three prizes awarded for the Ely 10k Handicap, first Ely Runner, first guest runner, and a prize for the fastest runner on the night. 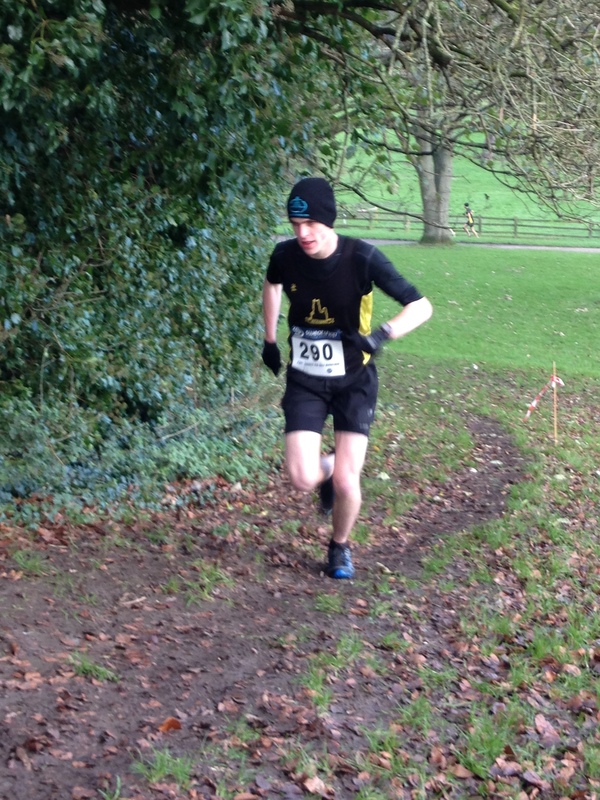 First Ely Runner home this year was Stuart Mitchell, his first 10k and new club junior mans record for 10k. 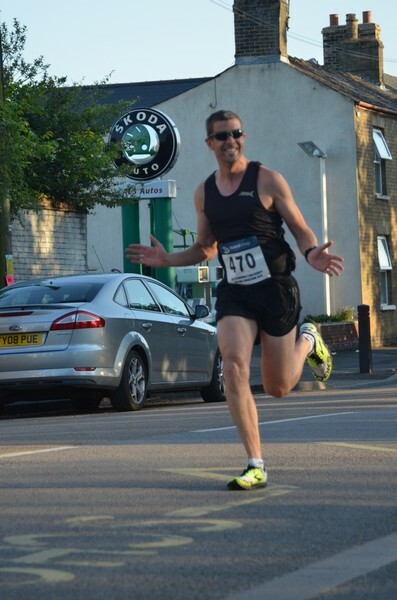 Stuart has been an enthusiastic, popular, and dedicated member of Ely Runners for close on two years. He was accompanied on his run by cyclist and club member Julie Foreman  whose words of encouragement to beat his father (also running!) clearly worked wonders as Stuart came in over 3 minutes under his predicted time. Proud Dad Keith commented afterwards We intend to give a briefing to the Prader Willi Society of this achievement and the positive way Stuart has been treated by the club. He continues to be an inspiration to those who have PWS children and offers something really positive to parents if you stick at it through thick & thin. First guest runner home (and in fact first home overall for the second year in succession) was Terry Braverman, beating his handicap by six minutes. 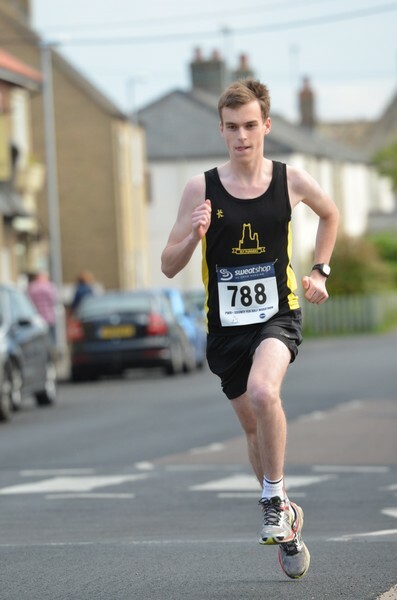 Fastest time of the night was Alex Tate  his time of 32:59 eclipsed Maurice Reeds longstanding senior mans club 10k record. Outside the prize winners there were a number of excellent performances from Ely Runners. 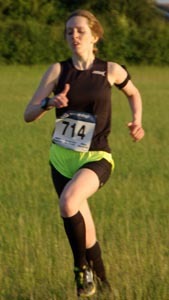 Daisy Glover established a new Junior Female club 10k record of 39:58, beating her own Dad John in the run-in. Peter Gipp narrowly missed breaking John Turners longstanding MV45 club 10k record by 8 seconds. After the race, Chairman Peter Gipp presented the awards at the Prince Albert pub in Ely. Special thanks are extended to Steve Tovey (handicap times), Rod Baron (entries, timekeeping and results), Eric Drury (course marking) and Charlie Barker (photography), plus the several other (unnamed) helpers and marshals. (Apologies, this is an incomplete list  hopefully other credits will be added as I find out! ).